Approximately how heavy was the first 1GB hard drive? IBM's 3380 Direct Access Storage Device marked the pinnacle of 14-inch disks in 1981. Using nine platters to break the 1GB barrier with a total capacity of 1260MB, and ultimately 2.52GB when two HDAs were paired (a three-capacity version was offered in 1987). 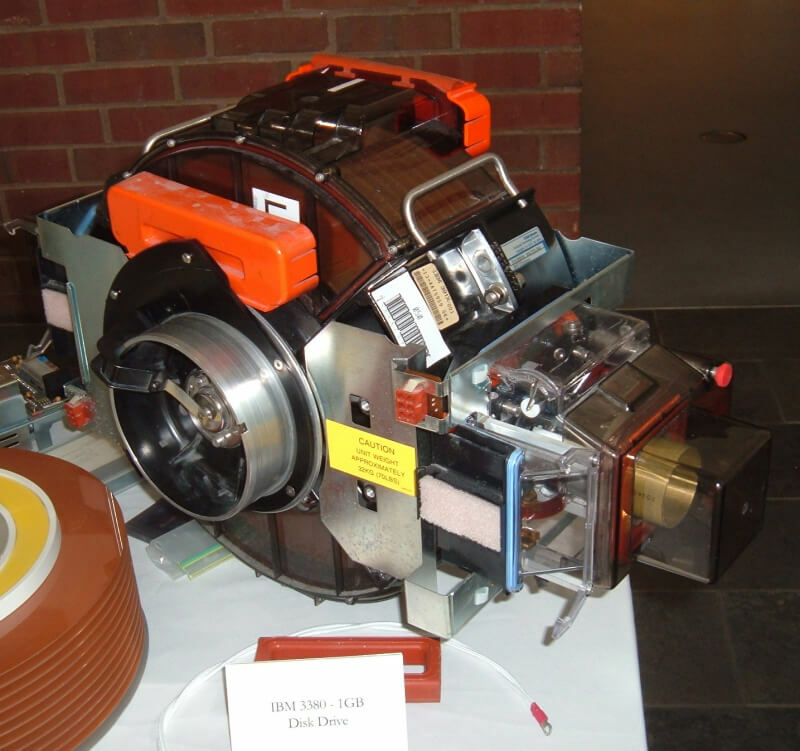 One HDA (as pictured) cost approximately $50,000, weighed 64 pounds, and the set was said to have been stored in the largest cabinet ever used for disks, measuring a meter wide, a meter deep and two meters high. By 1991, IBM squeezed 1GB into the 3.5-inch, eight-platter 0663 Corsair HDD, and by 2018, you should be able to purchase a 16TB 3.5-inch hard drive from Seagate, which equates to the storage space of more than 10,000 IBM 3380 HDAs.